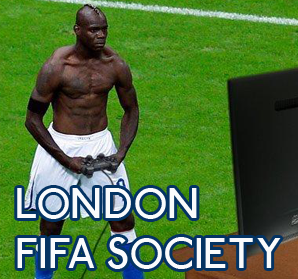 Live in or around London and want to play some FIFA 13 on the PS3 tomorrow? London Tournaments will be hosting their first tournament on Sunday 3rd February 2013 located in the heart of London at the Greenside Community Centre. They have hundreds of pounds worth of prizes to give away and there are various ways to be a winner on the day. Don’t miss their new Bloopers video either! 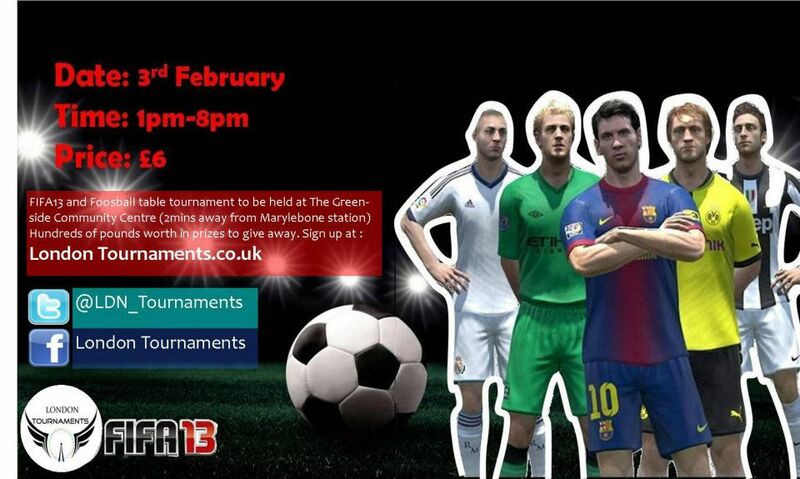 The day will be host to a FIFA 13 PS3 tournament and Foosball/table football tournament. Delicious fresh food will be served on the day. Entry is only £6 through online payment and this will guarantee you a place on the day. Alternatively you can pay on the day and please note that on the day payments will be £8. 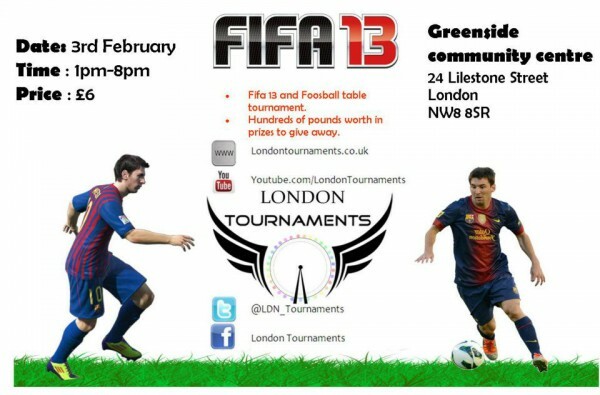 Get all the latest details on the event page for the London Tournaments | FIFA 13 Tournament.